Rep. Lamar Smith, who denies the existence of global warming, is chairman of the House Committee on Science, Space, and Technology. What could possibly go wrong? 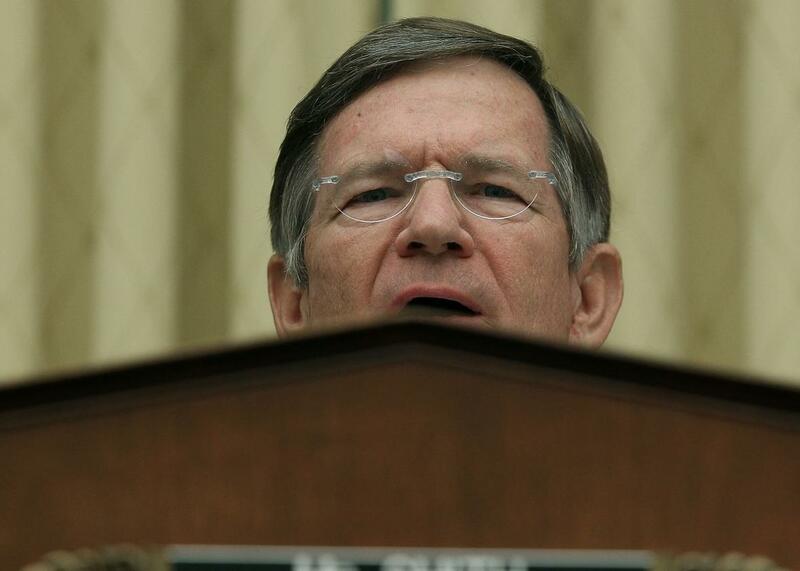 Rep. Lamar Smith, R-Texas, is a flat-out 100 percent global warming denier. He has made that very clear, writing embarrassingly wrong op-eds for the Wall Street Journal and engaging in Orwellian claims about climate science and politics. It’s clear he’s not a huge fan of politically independent science in general; for example he wants to gut peer-review in the National Science Foundation’s choices on what research to fund (instead, only allowing those that are politically approved). The current crop of GOP Congress members is maniacally fixated on stopping any science that doesn’t march along with their ideology and will do almost anything to stop it. That’s why I am not at all surprised that Smith—who is the chairman of the House Committee on Science, Space, and Technology, mind you—would go on a fishing expedition. He subpoenaed Kathryn Sullivan, the administrator of the National Oceanic and Atmospheric Administration, asking for a sweeping amount of information, including all documents and communications from NOAA employees about how they use global temperature datasets, including satellite data, and more. Ouch. She’s right. It’s clear that Smith doesn’t understand, willfully or otherwise, even the most basic ideas about global warming; he still claims global temperatures haven’t risen since 1998, for example, sticking to a “pause” in warming that we know, and have known for some time, doesn’t exist. It sounds far more like Smith is doing whatever he can to unearth anything global warming deniers can use to sow more doubt. It reminds me strongly of “Climategate,” when climate scientists’ emails were stolen, then taken hugely out of context by deniers to make it sound like they were up to nefarious purposes. That whole thing wound up being total baloney, and the scientists involved were completely exonerated of wrongdoing. Multiple times. Smith’s abuse of power can be seen in other ways, too. Recently, a scientist named Jagadish Shukla penned a letter to the White House asking that fossil fuel companies be investigated under anti-racketeering laws for funding disinformation campaigns about global warming (a campaign we know they did and have continued to do). Smith’s response? He has called for an investigation into a nonprofit energy research group headed by Shukla. Seriously. Huh. I’m sure it’s a coincidence that oil and gas companies have given well over $600k in donations to Smith’s election campaigns over the years. This sort of political threatening is appalling, and harkens back to the days of Joseph McCarthy. And, to be honest, I personally think it’s worse than that. We have an entire faction of Congress that rejects science and wants to substitute it with its own version. This idea has been tried. In the 20th century, the Soviet Union embraced the crackpot biological ideas of Trofim Lysenko, who rejected the idea of evolution by natural selection. They and other countries based their agricultural system on this pseudoscience, and the results were devastating. Lysenkoism led in part to worsening the Great Chinese Famine, where 30 million people died. The parallels here are striking. We have an overwhelming consensus of climatologists all over the world agreeing that the planet is warming up and that humans are at fault, while a small but powerful group of politicians, ideologically motivated, are working to suppress that science and replace it with nonsense. The consequences are not minor and relegated to some distant, fuzzy future; they are now and they are global. I am not a single issue voter, not by a long shot. But science isn’t a single issue. Its implications cover global warming, health care (especially women’s health care), space exploration, personal privacy, technology, immigration (for example, the engineering of building a border wall), job creation, and much, much more. All of these are major issues in the upcoming election. Your vote counts. These politicians thrive on apathy, and their biggest fear is a population that actually turns up to vote. We cannot allow these few zealots to continue this attack on science and reality. It’s long past time we showed them the door.